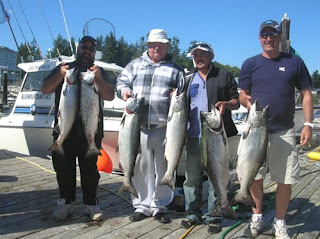 Sooke's fishing is still excellent, with plenty of nice sized Chinook salmon plus pinks and a few coho too. 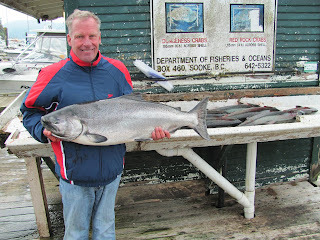 Gord from Foghorn Fishing Charters has been having lots of fun with his guests in all the usual Sooke fishing sports. 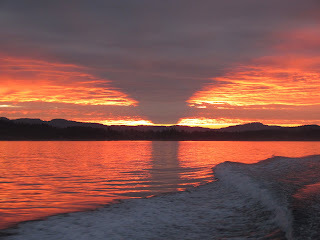 Check out these two photos of happy anglers (plus a nice Sooke sunset shot below). 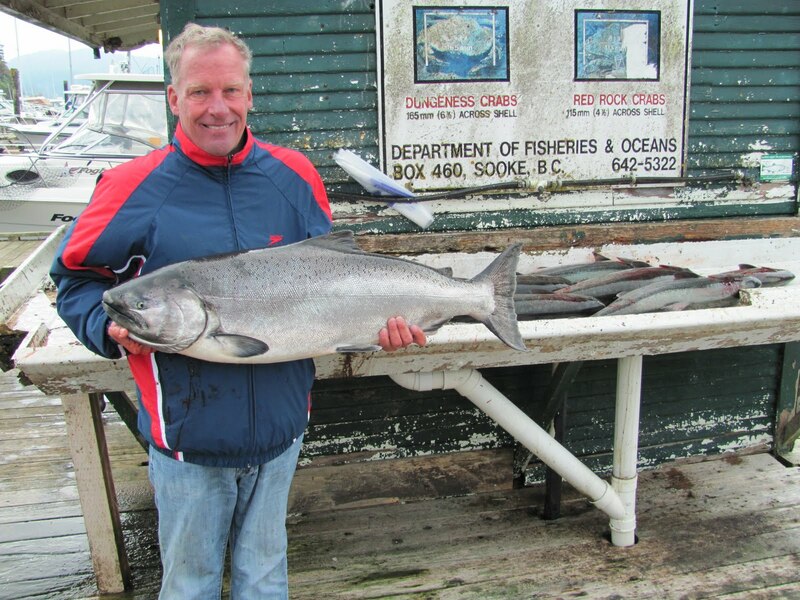 Gord said he expects an excellent September fishery this year. 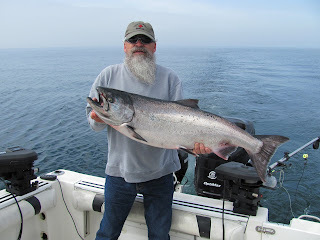 Roy from Blue Wolf Fishing Charters said he has been focusing mainly on Possession Point and Secretary Island, and doing nicely for Chinook up to 30 pounds. Here's a photo of Big Al's group from Calgary, on their 3rd day of fishing in Sooke. Fishing is good for the next few weeks, so you better get out here and chase them while they are here!